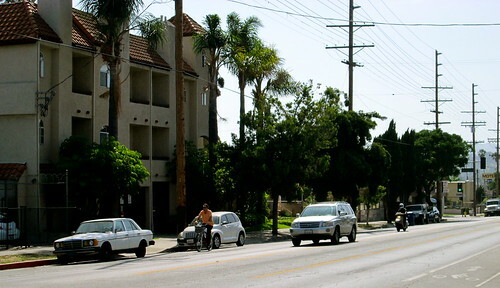 After sharrowing 20 miles of roads in October 2011, LADOT crews will be sharrowing another 20 miles, starting this month. 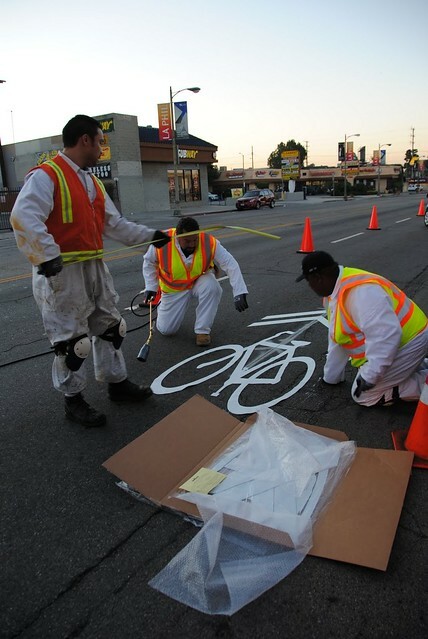 “Sharrows” are shorthand for Shared Lane Markings (SLMs), and are used to identify streets that are designated as shared roadways for bicyclists and motorists. 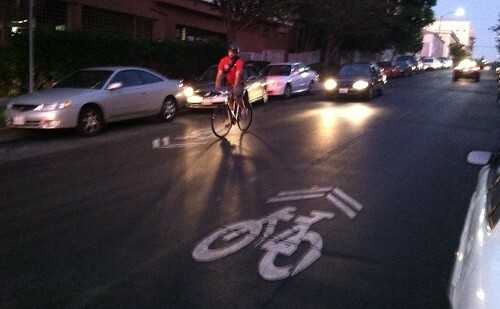 According to the Department’s Sharrow Report, SLMs have three primary functions: to be a supplemental wayfinding device, to help announce the presence of bicyclists to motorists, and inform bicyclists where they should ride to prevent “dooring“. 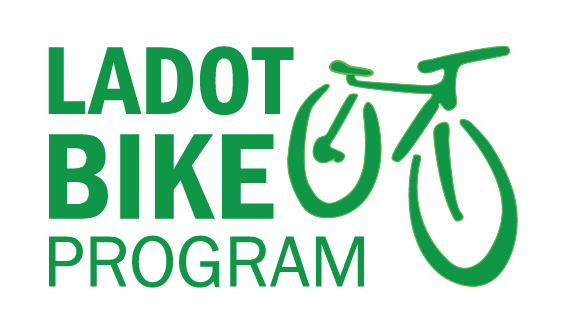 This batch of sharrows tentatively totals 22.64 miles, and a good portion of them were prioritized to support the upcoming bicycle sharing system. Streets to be sharrowed can be seen here (More streets can be seen by clicking “Page 2” at the bottom of the left column). 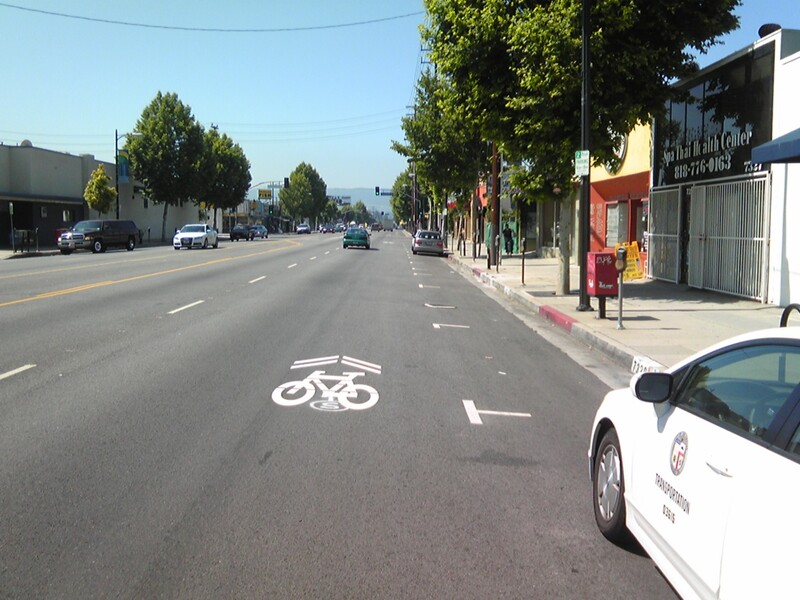 For more information on sharrowing procedure and its regulation in the CAMUTCD, check out our previous post Sharrows 101. 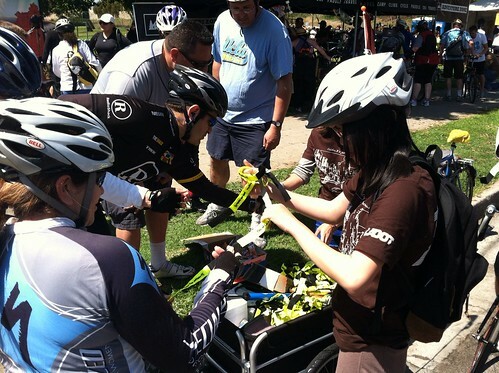 Handing out reflector straps and other items at Hollenbeck Park.